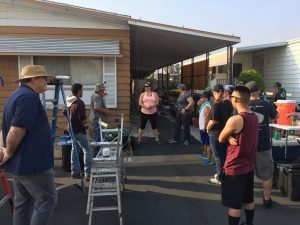 This past Saturday, July 28th, an awesome crew of volunteers from the 163rd Maintenance Squadron/Fabricators out of March Air Reserve Base came out to the Meadows Mobile Home Park in Riverside to help out a local veteran in need. Vietnam-era vet Daryl’s mobile home was in dire need of some TLC. 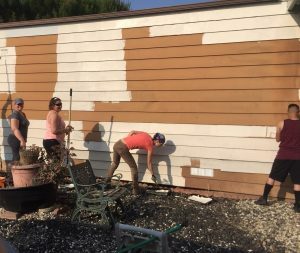 Over the years, the paint had faded and begun to peel in places. 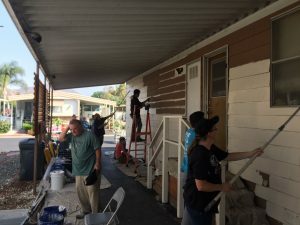 The solution: Habitat for Humanity Riverside’s “A Brush with Kindness” program. 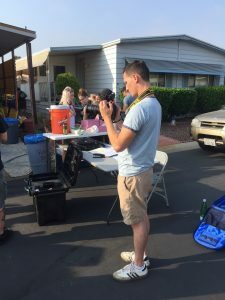 After receiving instructions from the Habitat project leaders who familiarized them with the essential safety practices, tools, materials, and with the temps forecast to be in the low 100’s this day, the team quickly spread out to tackle the assigned objectives. 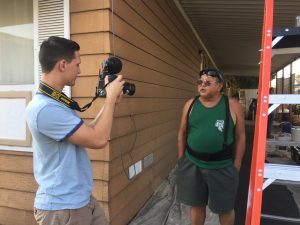 They began on the east side of the home while the sun was still low in the morning sky, attacking the trim and skirting in addition to the main exterior. 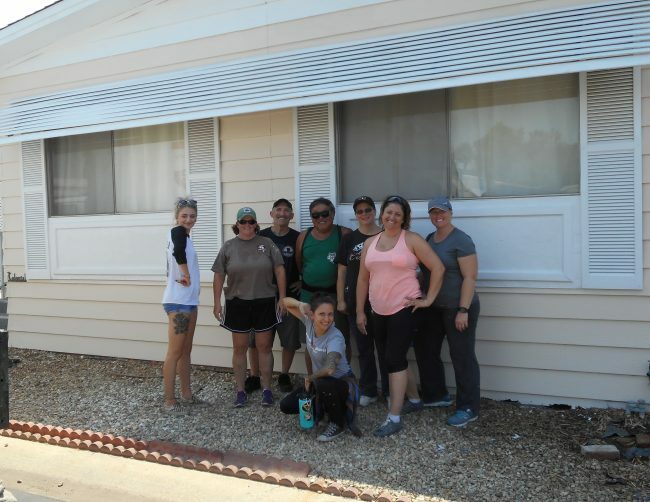 The whole team at Habitat for Humanity Riverside wants to thank the folks from the 163rd Maintenance Squadron/Fabricators for their hard work and look forward to teaming up with them again soon!